When you start a new tab in a browser, are you looking to go somewhere or are you looking for information to come to you? 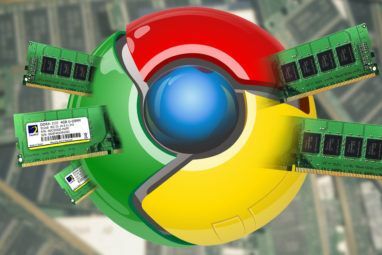 Google Chrome has so many extensions to make it productive How To Turn Google Chrome Into A Productivity Beast How To Turn Google Chrome Into A Productivity Beast The Internet has made us more productive than ever before, and the browser is the gateway to all that productivity. Chrome's many extensions and apps can help you turn it into a productivity beast. Read More , and the New Tab department is no different. Prioritab’s purpose is simple: to tell you what you have to do, and give you an idea of the amount of time left to do it. There are three simple to-do lists to fill: today, this week, and this month. The simplicity is reminiscent of productivity apps like TeuxDeux, which tell you to stop organizing and start working Stop Organizing, Start Working: 3 Simple To-Do Apps To Speed Up Your Workflow Stop Organizing, Start Working: 3 Simple To-Do Apps To Speed Up Your Workflow Are you a list lover? Stop using your to-do list as yet another excuse to procrastinate. Switch to a minimal task management system and focus on getting things done. Read More . Above the three lists (which you can rearrange as you see fit), you’ll see a counter to show you the percentage of the day, the month and the year that has already elapsed. It’s a grim reminder of how time flies, and could serve as the trigger to make you get things done. Let’s cut the clutter and focus on our to-do list. That’s the name of the game for Dayboard, one of the coolest ways to revamp Chrome’s new tab page Revamp Chrome's Default Tab Page With One Of These 4 Start Screens Revamp Chrome's Default Tab Page With One Of These 4 Start Screens A good start screen can transform the way you browse and work. It's time you got one. Use one of these alternatives for the New Tab page, to ensure that you're browsing effectively. Read More . No one benefits from a long list of tasks. Being productive is all about prioritizing, so Dayboard forces you to choose five tasks for the day—no more, no less. Every time you open a new tab, there they are. If you want even more single-minded concentration, use the “focus mode” to select one task and just be reminded of that. Once you’re done, check out your task history to see how well you have been doing and track your productivity in neat graphs and charts. Some people suggest not using your inbox as a to-do list, but email can become that for many. That’s why we have solutions like Sortd to turn Gmail into a Trello-like board Turn Gmail Into A Trello-Like Task Board With Sortd Turn Gmail Into A Trello-Like Task Board With Sortd In the modern workforce, your email often turns into your task list. Well, now you can get Trello-style organisation right in Gmail with a new Chrome extension, Sortd. Read More . More importantly, there might be various services you use for tasks, like Trello itself. Taco brings them all together under one roof. Grant the app access to your different productivity management apps and your inbox, and it will bring all the tasks into one pane. Then, just drag and drop to arrange your to-do list, and use the Focus Mode to remove distractions. Taco supports Asana, Basecamp, Gmail, Remember The Milk, Todoist, Trello and several other popular apps. The Gmail implementation is actually very cool, since you can set Taco to only show starred emails—just like that, a star in your inbox adds an item to your to-do list. What’s not to love about Wunderlist, that easy-to-use, versatile and cross-platform to-do list manager Wunderlist: Easy-To-Use, Versatile & Cross-Platform To-Do List Manager Wunderlist: Easy-To-Use, Versatile & Cross-Platform To-Do List Manager Read More ? If you’re a Wunderlist user, get the New Tab extension for Chrome now. Basically, it puts Wunderlist in your new tab, so you can quickly add a task item or check off anything on your list. And yes, you can switch between various lists too. It’s one of those simple sensible solutions that Wunderlist has come to be known for. Productivity isn’t just making a list, it’s about actually doing things. OverTask recognizes that accomplishes tasks requires more than a list, so it works like a project management system for your tabs, turning Chrome into a research hub Turn Chrome Into a Research Hub With These Extensions Turn Chrome Into a Research Hub With These Extensions The Internet is a wonderful resource for students, but these Chrome extensions can make the process of finding, marking up, organizing, and citing information a million times easier. Read More . Basically, you are clubbing different tabs into one “task”, so you can close those tabs and move on. When you’re ready to do that task, fire it up from OverTask to open all the tabs again. Each task also has its own scheduler. And you can also share tasks with friends. It takes some getting used to, but it’s a nifty system. Limitless is the ultimate productivity companion for Chrome Limitless For Chrome: The Ultimate Productivity Companion Limitless For Chrome: The Ultimate Productivity Companion Where did the time go? You got on your computer and suddenly it's been 3 hours and you're in some vast part of the Interwebs. This is where Limitless comes in. Read More , and a big part of that is what it does to the New Tab page. At its core, Limitless tracks your usage to know which sites you are spending time on, and how much time at that. But every time you open a new tab, that’s where the app’s motivational factor kicks in. A simple message will tell you to buck up or keep going when you’re on a roll. Quick icons of favourite sites and site-based categories show how much time you’ve been spending on work or leisure. In a way, it’s a dashboard of how productive you have been—the perfect inspiration to keep your momentum or change your ways. A to-do list and a calendar almost go hand-in-hand. TabTab recognizes that and puts them together, syncing your Google Tasks and Google Calendar along the way. It’s basically just a bunch of widgets, but TabTab throws in inspirational wallpapers and some other design features to make it all look beautiful and appealing. Apart from task and calendar, other widgets include clock, daily news, search, weather and speed dial. Oh, and you can customize the size and positions as you see fit. Huzzah! Do you love Google Tasks? So do we! 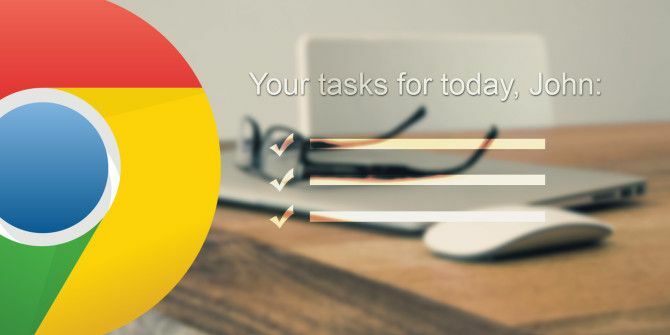 We’ve shown you how to transform Google Tasks into a task management suite Transform Google Tasks Into a Task Management Suite With Google Tasks Offline [Chrome] Transform Google Tasks Into a Task Management Suite With Google Tasks Offline [Chrome] Using Google Tasks is like a love-hate relationship. The problem with using Google Tasks directly in say, Google Calendar or inside Google Mail is that the layout and the user interface is extremely simplified and... Read More and also five killer ways to use GTasks Five Killer Ways to Use Google Tasks Five Killer Ways to Use Google Tasks If you're like me, you spend more time managing your tasks than you do actually performing them. It’s all about multiple lists, offline access and getting your tasks on-the-go. Since we last took a look... Read More , so now we’re making it easier than ever to access it: right in your New Tab. The next time you hit Ctrl+T, you will get your Google Tasks list in a full-screen view, categorised in a tree-like view and offering note previews. It’s a wonderful way to use Google Tasks. 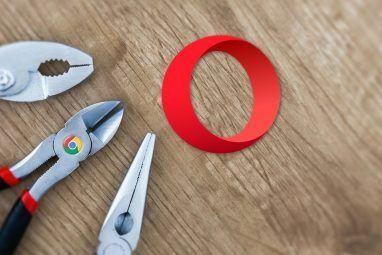 While the above extensions are fantastic, there is nothing stopping you from setting your New Tab to open your favourite to-do app or email inbox or anything else that makes you productive. Productivity is about what works for you, so go ahead and set a custom URL that opens whenever you start a new tab. This is yet another comprehensive list of extensions that makes me choose Chrome over Firefox. But come on, Mozilla fans, let’s have your best shot. What’s your favourite new tab extension that beats the options here? 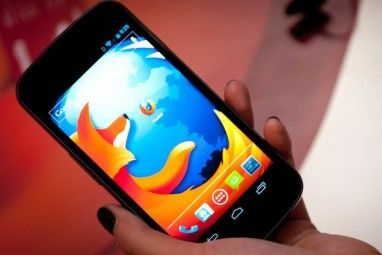 Explore more about: Browser Extensions, Tab Management. I have been using New Tab Draft for more than 2 years. Simple, fast and convenient. I feel a little foolish. I was looking for an extension I haven't used in years and decided not to read this article to begin with because the Google extension is too underground to ever be recognized, I thought. This extension has most of the features I want in an extension. I've been looking for hours and just now decided to check this blog out to see if you wrote about it or if any of the other extensions would jog my memory. Turns out the extension I was looking for was the very first on this list. I know this was a while ago but Google Keep now supports the hashtag as a quick way to add a label to a note. It has notifications, great backgrounds, my upcoming calendar events. i've used new tab redirect for a while then I found tabforacaus which was half and half and now I use elfbite from the looks of it still beta but very interesting. 1. Clearly - Product of Evernote. Sync articles to your Evernote right in time. 2. New Tab Draft - Change my way to use New Tab. Open a tab to write whatever you want. Only few people know this but it is really what I want. The tab feature that keeps me in Firefox most of the time is the one that allows me to keep a tab open no matter what, including clicking on a link or typing in a URL while in that tab. I keep Gmail open all the time. In Chrome, if I forget and type in a URL while in Gmail, it takes me out of Gmail, to the new URL. To my knowledge, there's no tab extension that will prevent that in Chrome, but in Firefox Tab Mix Plus and other extensions. will do it. TMP does it, just pinning a tab also does that in Firefox, iirc. Totally with you, that's one feature I miss in Chrome. Well, I see most of the tabs recommended were based upon the use of these tab extensions for personal productivity of the user rather than than the productivity of the browser. While I don't know about new firefox extensions, one of my personal favorites has always been Tab Mix Plus.